Wild Armenia / What to see / UNESCO sites in Armenia you should not miss! Long before UNESCO began listing Armenian monuments, some of them found their proper place in Leonardo da Vinci’s diary. 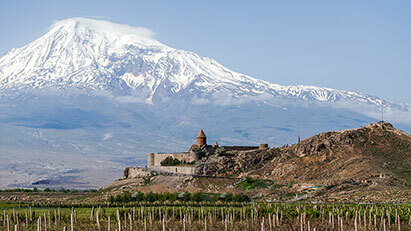 Leonardo visited Armenia in the late fifteenth century, and became interested in the construction of Armenian domes. You can follow his path when you visit Armenia, and there, you will know that Armenia is a perfect place to explore architecture. 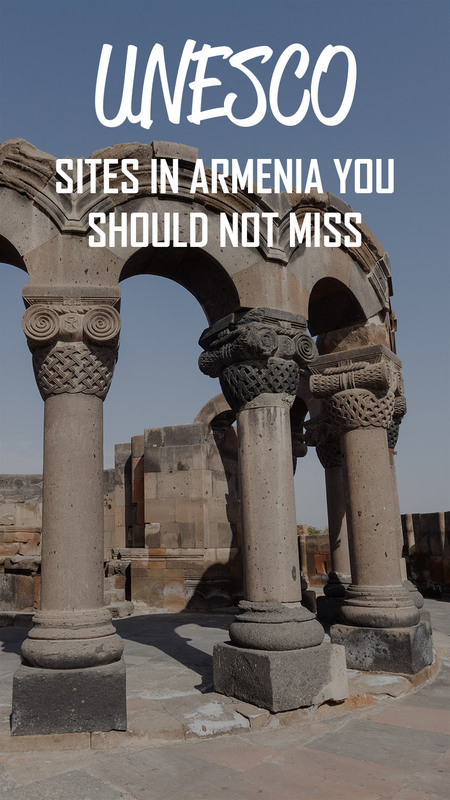 If you plan a trip to Armenia, our article about UNESCO sites in Armenia can become a guide for you to discover treasures of this ancient country. So, stay with us and learn about the intangible heritage of UNESCO in Armenia. Mother See of Holy Etchmiatsin is a huge complex incorporating the oldest church in Armenia and the residency of Armenian “Pope”. The church, founded in 301-303 AD, is one of the first central domed churches in the world, constructed officially by the state. According to the testimony of a 5th century chronicler, the construction of the church was followed by a vision of Jesus Christ pointing out the construction spot of the temple to Saint Gregory the Illuminator, who converted the Armenian nation into Christian faith. When you visit this ancient church, pay attention to its northern wall, where you can see two 4th century bass-reliefs flanked by the windows. 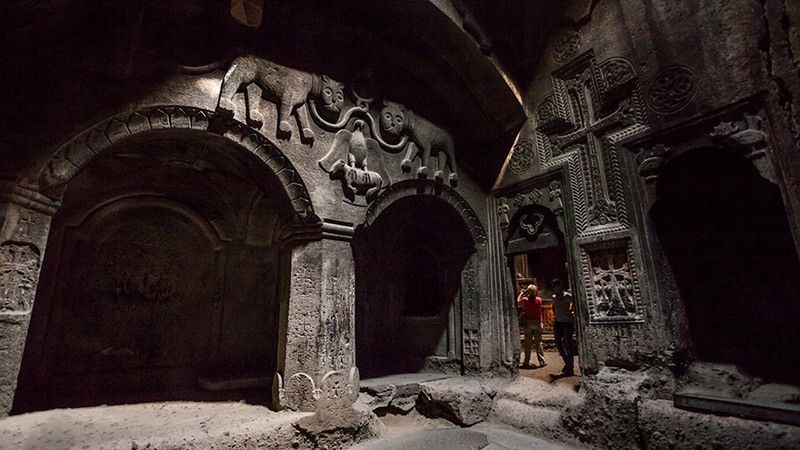 These are the oldest early Christian sculptures preserved in Armenia. Saint Hripsimeh church (618 AD) is dedicated to the virgin Hripsimeh, who was martyred in this place at the very end of the 3rd century. 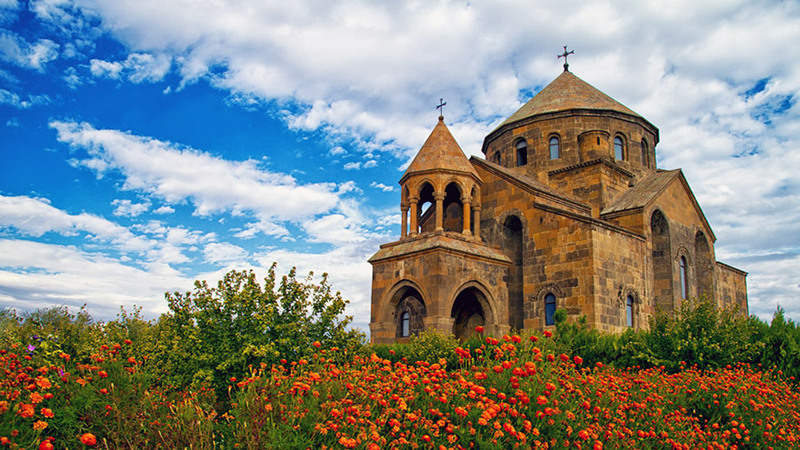 This church is a classical example of Armenian architecture, and is a true engineering marvel—it has remained almost completely intact since the year of its construction. The niches, also called “Armenian niches” in architecture, that curve the exterior walls of the church are one of numerous devices that helped the church to stand against earthquakes. Saint Gayane, a domed basilica church(630 AD), has remained almost intact since the 7th century. It is dedicated to another martyred virgin, Gayane, who fled to Armenia from Rome, with Hripsimeh and other virgins, from the persecutions of Emperor Diocletian. Both in the previous church and this one, you can find graves of the virgins located under the main altar. 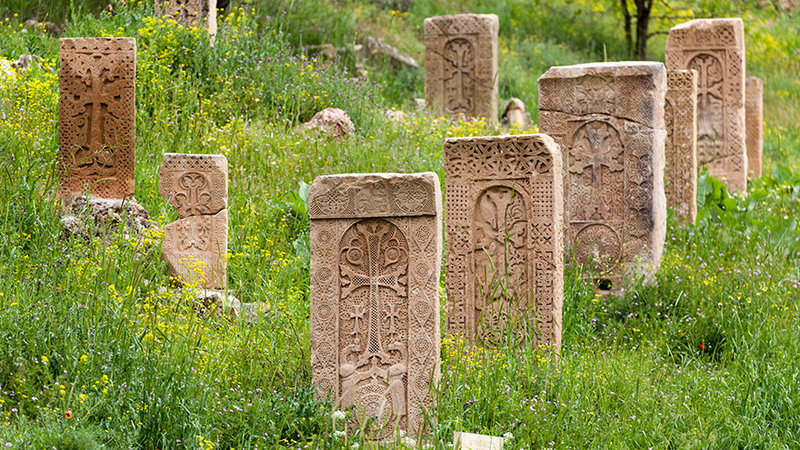 Take a walk in the graveyard of Gayane and discover fascinating cross-stones. Early in the morning, this graveyard is so tranquil that you start to understand the meaning of the words, “Rest in Peace”. 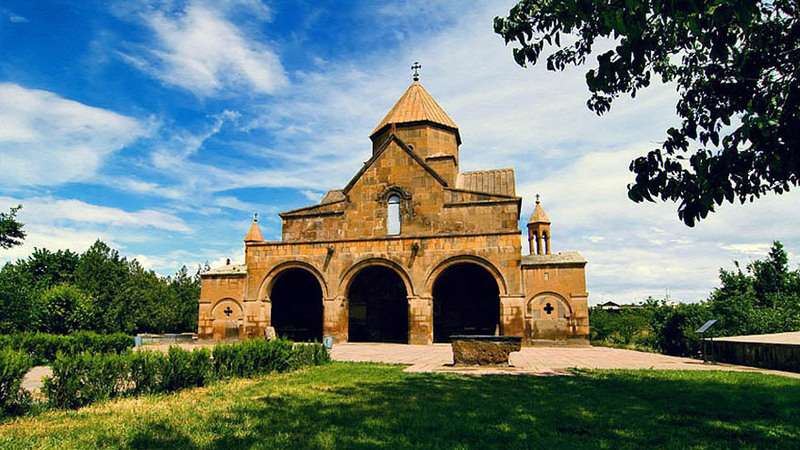 Zvartnots temple is another monument in the vicinity of Etchmiatsin. This cathedral has a circular plan, which is unique in Armenian architecture. It looks like a huge stone souvenir, with its decorative columns and ornamented capitols. The temple is so special to Armenia that locals don’t even cross their faces(which they do with each standing church) when passing by or entering this church, as they don’t identify it as a church. An Armenian chronicler testifies that, in 652AD, the Byzantine Roman Emperor Constantine II, who attended the consecration of the temple, was so impressed by its grandeur, that he hired the master architect to build a similar church in Constantinople. The master refused to build a copy of the cathedral that was the glory of the Armenian people and threw himself into the sea on his way. 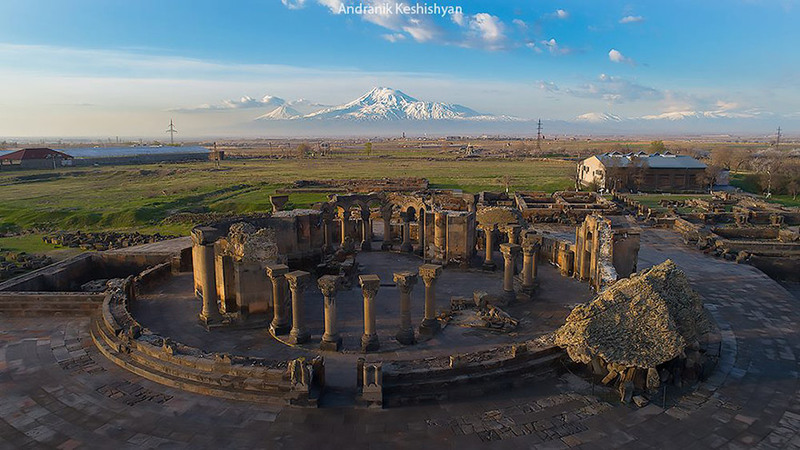 The first impression of this monument is enhanced by the great scene that opens to you from the doorstep, with Mounts Ararat and Aragats in view. 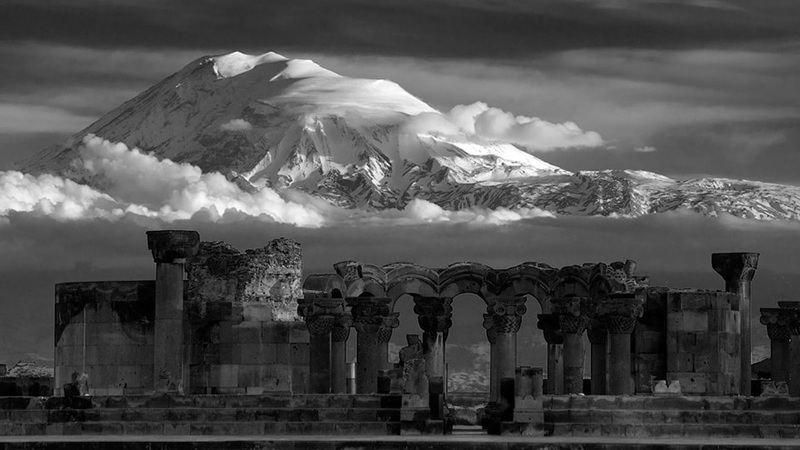 Maybe the desperate suicide of the architect was because he was not going to find Mount Ararat in Constantinople. 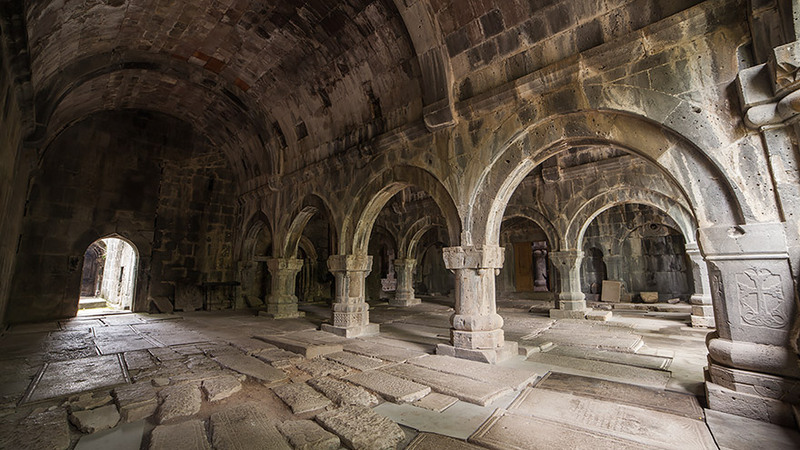 The second site in our list is Geghard monastery and the Upper Azat Valley. Situated higher up the gorge of the Azat River, it is particularly important because the main part of this architectural ensemble is carved out of rocks. The whole complex itself is surrounded by mysterious rocks and you can have the impression that the monastery is a fine example of organic architecture even though, in the 4th century, when the monastery was founded the concept of organic architecture was not known yet. When you look at the monastery nested among these rocks from outside you can never guess that once you enter there you will find yourself inside the rock behind its two stone structures. One glance at these rock churches is enough to understand that they were not constructed in the traditional manner but were carved from above. Have you ever prayed inside a 13th century rock sculpture? Follow us to Geghard, monastery of the Spear and you will know what it means. 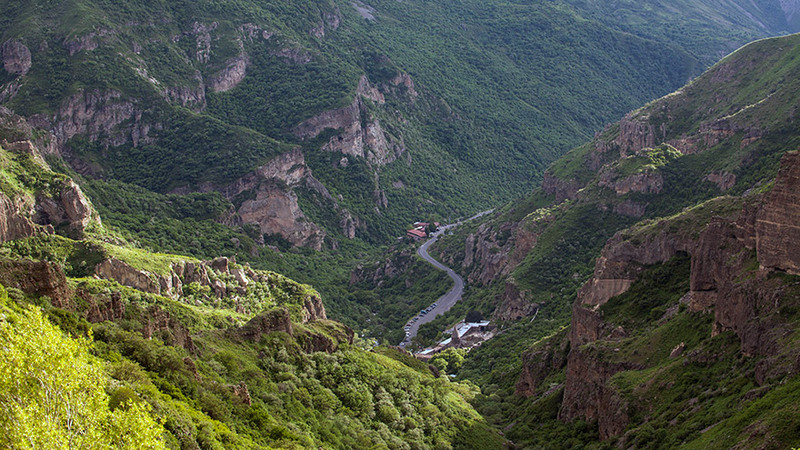 If you want to see the real Armenia, with its epic nature, then you must not miss our next UNESCO sites. 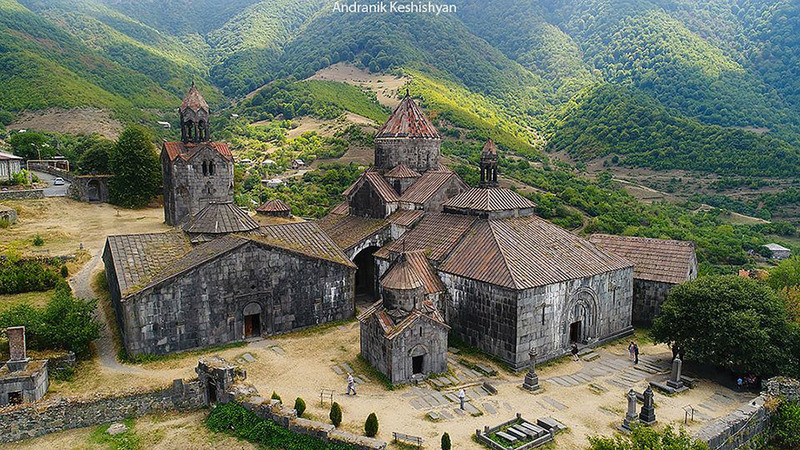 These twin monasteries are located in northern Armenia, not far from each other. They are connected, with many similarities to such an extent that it was reflected in the legend surrounding the place. Legend has it that Haghpat and Sanahin once quarreled about which of them was the most important and beautiful. In the end, Sanahin declared, “I am the most beautiful and important, as I am older than you.” The name “Sanahin” is etymologized in this way – to mean “older than that one”. Sanahin monastery (founded in 966 AD) is of a great architectural interest, settled in beautiful, natural surroundings above the village of Sanahin. 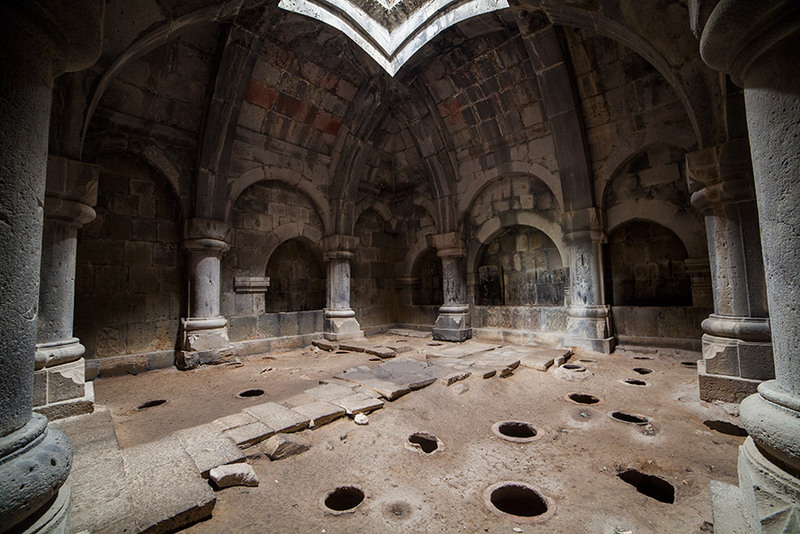 It became one of the main religious and cultural centers of Armenia between the 10th and 13th centuries. 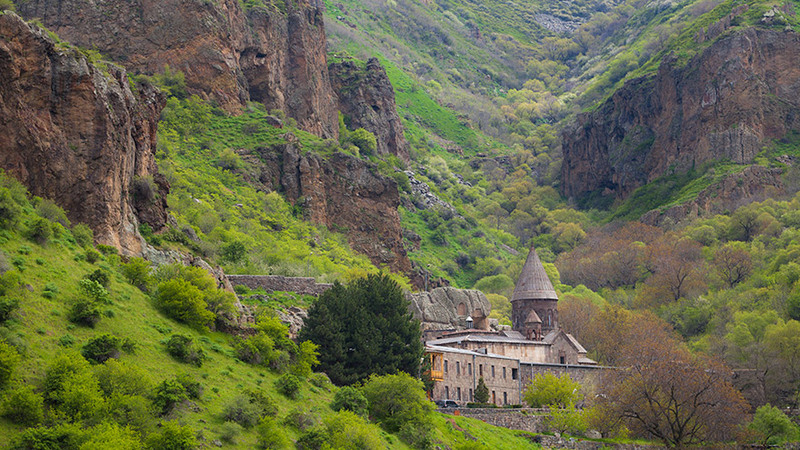 This monastic complex — consisting of churches, narthexes, an academy building, library, portico and bell tower on the plateau above the Debet gorge — is skillfully integrated into the impressive mountain landscape. The walls of Sanahin church is decorated with blind arches, which are a particular characteristic of the Western architecture of the High Middle ages. 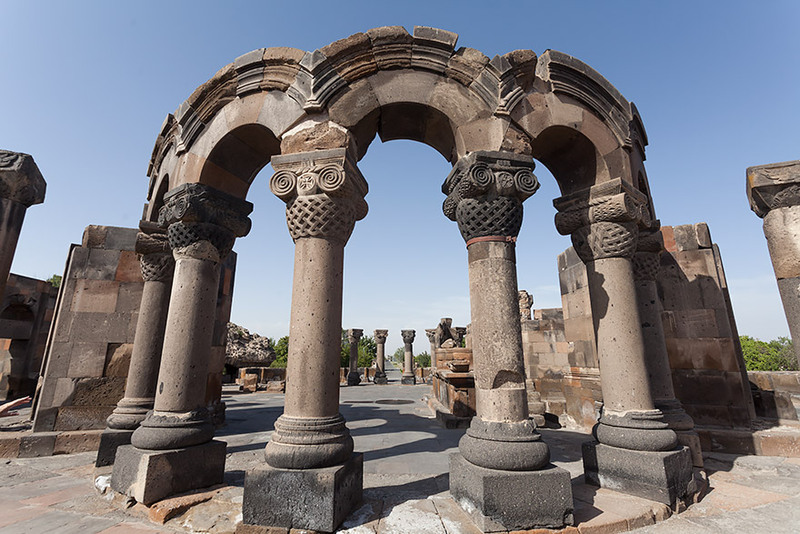 The similarities between 10th century Armenian architecture and Romanesque architecture has lead many architects to conclude that Romanesque and Gothic architecture was imported to Europe from Armenia. 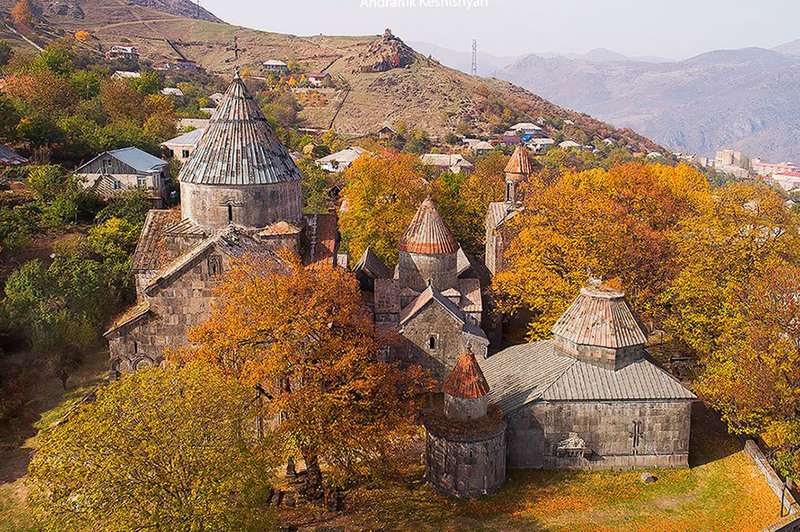 Its sibling, Haghpat Monastery, founded in 991 AD, merges into the beautiful landscape of Lori province.Like Sanahin, the Haghpat monastery consists of large number of buildings. The bell tower and library buildings are of particular importance. Its main church, St. Nshan, which means “Holy Sign”, is believed to have been constructed by Trdat, one of the greatest architects of medieval Armenia, whorestored the dome of Hagia Sophia in Constantinople, which was destroyed by the earthquake of 986. 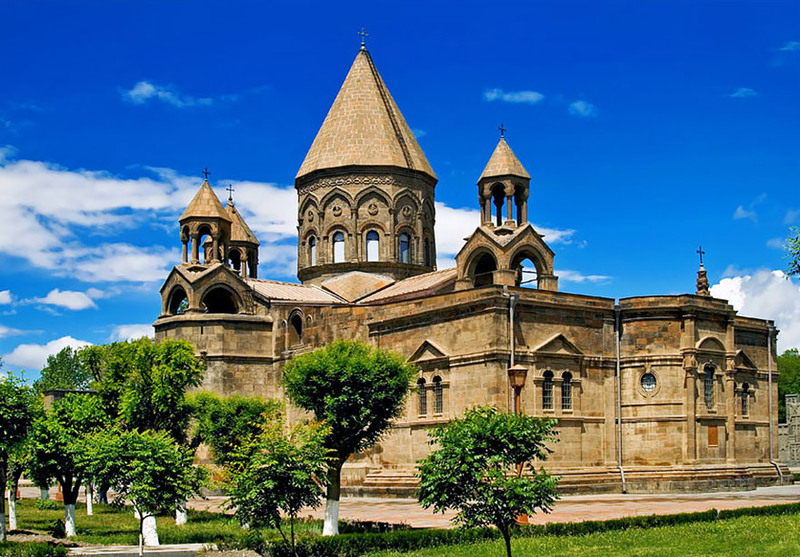 In fact, this architect definitely knew how to deal with earthquakes, because Saint Nshan has never been destroyed since its construction, and only small restorations were carried out in the 10thand at the end of the 12thcenturies to repair small damages. So if you want to see these famous buildings, which left their impacts on world architecture, don’t hesitate to join us. 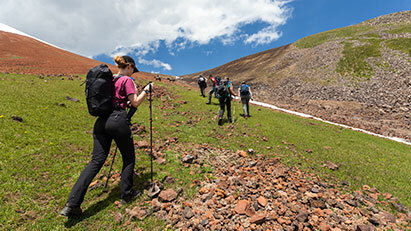 During your trip to Armenia, you will always encounter elements of the intangible heritage of UNESCO in the most unpredictable places: at a lunch table loaded with barbeque, in the countryside, on public transport, in concert halls, in the markets and restaurants. Read more, and you will understand why. Duduk, the flute indigenous to Armenia, has such a charming sound that it has inspired many foreigners to visit the country of its origin. The original name of this instrument, “tsiranapogh”, is translated as “flute of apricot”. You can already guess that it is made of apricot wood. According to one ethnomusicologist, “the most important quality of the duduk is its ability to express the language, dialectic and mood of the Armenian language, which is often the most challenging quality for a duduk player.” Nowadays, duduk has become a world-famous instrument, and its music is widely-used in Hollywood movies. The next element in our intangible heritage list is the cross-stone, the jewelry of Armenia. It is a free-standing, upright, rectangular stone slab unique to Armenia, which is elaborately carved in a deep bass-relief on the side facing west. The middle part of this memorial stone is always curved with the image of a cross against a background of vegetal and interlaced geometric motifs. The first cross-stones appeared in Armenia the 9th century. It is interesting to note that cross-stones are symbols of the Crucifixion, although there are very rare stones representing it in a figurative way. In the early days of Christianity, monks didn’t dare to depict the new God being tortured on the cross, because people were used to the powerful pagan Gods. So they found the symbols that were familiar to the population, to spread the ideas of Salvation. Some art historians consider that there was a whole Encyclopedia referring to cross-stone symbols at one time in medieval Armenia. This is an outstanding epic poem reflecting the struggle of Armenians against Arabic yoke in the 8th-10th centuries. This folklore is also known as “David of Sassoun”, named after David who was a young shepherd that was fighting with Arabic rulers.These rulers were threatening his home town, Sassoun. His heroic struggle resonated long enough to be reflected in this epic folktale, which was transmitted orally by the village bards for 1000 years. It was saved from oblivion in the 19th century by an Armenian bishop. There are 160 versions of this poem, composed in different Armenian dialects. This folktale has been translated into more than 20 languages, including French and Chinese. This is a traditional Armenian unleavened flat bread. Since times immemorial, this bread has been part and parcel of Armenian culture. The smell of the freshly-baked bread will make you crave it. After tasting it, you will understand why it is so well-praised and why it became a source of so many legends. Legend has it that during the wedding of Armenian Goddess of love and fertility, Astghik, the Armenian chief God Aramadz placed a lavash on her shoulder to make her union with thunder God Vahagn more fertile and blessed. The excited Goddess didn’t notice that the sacred bread had fallen off her shoulder. Aramazd flew into a rage and cursed her, saying that she could never become a good mother and wife if she threw the bread. Since then, Astghik and Vahagn have become eternal lovers. Who knows, maybe lavash has preserved their love, saving their marriage. This ancient Armenian round dance is the most popular dance amongst all Armenians. Whenever Armenians want to celebrate something, they dance kochari, which is of pagan origin. The dance imitates the movements and power of a ram struggling for his space. This dance was created by a ram cult. It clearly displays the jumping and bouncing, the fighting, the butting of rams and goats. You can trace this imitation in the forward-attacking movements of this dance. The most remarkable performance of this dance took place in Berlin under the walls of Reichstag, near Brandenburg gate after the Soviet army captured the city. When Armenian soldiers were performing this dance, they never imagined that within a few decades, the dance would be listed by UNESCO as an intangible heritage. 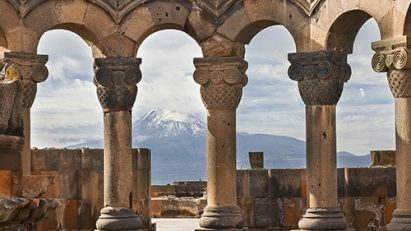 These UNESCO monuments consolidate the power of Armenian culture. 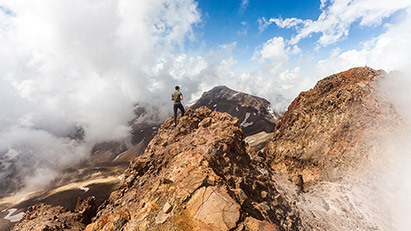 Visit Armenia for the chance to discover more layers of it with us. See you soon.